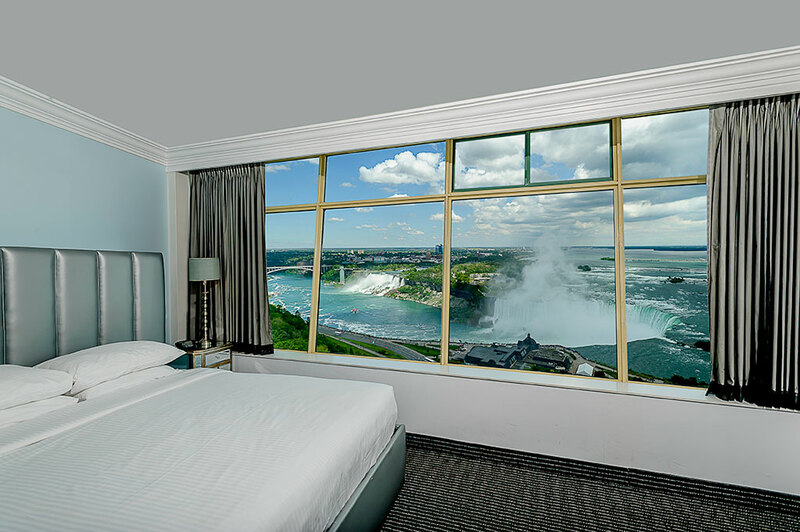 Located on floors 27 & 28, this room offers 1 King size bed with a view of both the Canadian and American Falls through floor to ceiling, wall-to-wall windows. This luxury room includes a flat screen TV and hair dryer. Located on floors 27 & 28, this room offers 1 King size bed with a city view of the Niagara area through floor to ceiling, wall-to-wall windows. This deluxe room includes a flat screen TV and hair dryer. 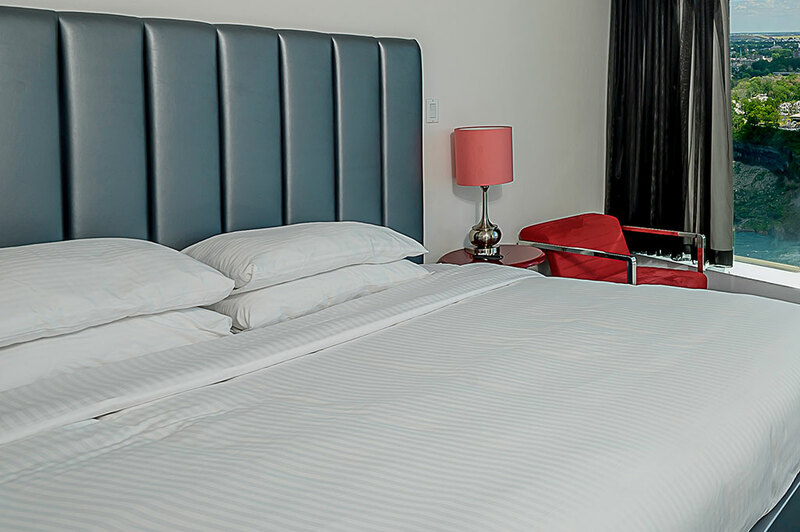 Located on floor 27, this 2 room suite offers 1 king size bed in the bedroom with a pullout sofa in the sitting room. Both rooms with a view of both the Canadian and American Falls through floor to ceiling, wall-to-wall windows. This luxury suite includes 2 flat screen TVs & hair dryer.